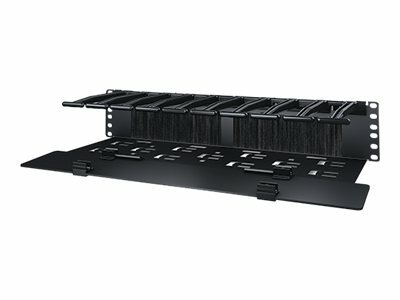 Horizontal Cable Manager, 2U x 6" Deep with Cable Tie-off bottom plate, Single-Sided with Cover. 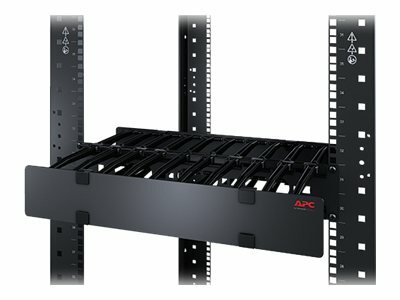 Features cable access slots with pre-installed brush strips in the backplate for front to back cable pass-through and a bottom plate with features for additional cable tie-off and routing. 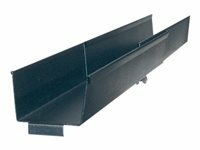 Cable passthrough and air containment - Pre-installed brush strips provide air containment and accessibility from the front to the rear of the enclosure. 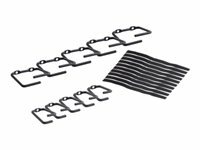 Cable tie-off bottom plate - Horizontal cable manager bottom plate provides cable tie-off features for bundling cable with toolless hook-and-loop cable managers (AR8621). 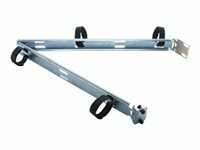 Double-sided capable - Horizontal cable managers include double-sided configuration hardware to install (2) alike horizontal cable managers back-to-back for double-sided applications. 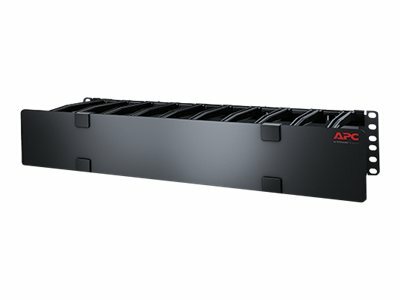 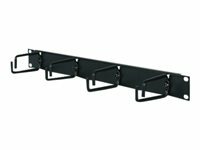 Horizontal cable routing front-to-back - Pass-through holes and mounting slots support horizontal cable troughs for front-to-back cable pass-through using cable management accessory AR8016ABLK. 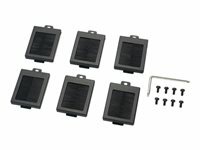 Trouble-free access - Covers with snap hinges provide trouble-free access to cables.